Piet Mondrian is considered the artist who started to show the color blocking techniques on his paintings. 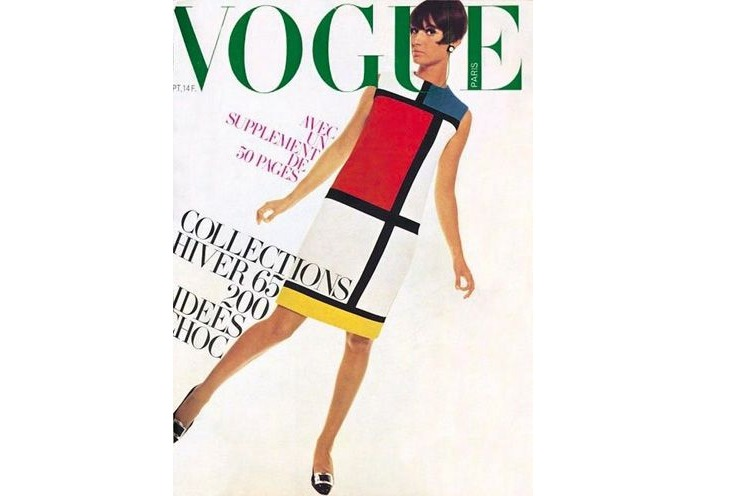 Yves Saint Laurent placed his work on their clothes and created the iconic Mondrian collection in 1965. Since then, Color blocking has been considered a method of wearing multiple solid colors in an outfit. The look would mix two or more pallets colors, usually in bright and bold shades. The result is a great combination of shades that would upgrade your outfit. How to get a perfect color blocking look? Taking a look to the color wheel and playing with some combinations would help create some good examples of color blocking. Colors that are the opposites on the wheel (complementary colors) will be an absolutely yes. These technique of fashion will totally help your body shape by accentuating the best features of your body and making people look thinner and taller. Some basic rules for color-blocking are balancing an outfit with a neutral such as grey and not wearing too many colors together at the same time.